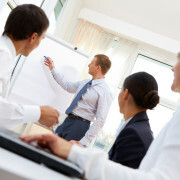 Making an effective presentation introduction is key to the success of your presentation. Not only will it give you confidence and a strong foundation to build on, it will also instill confidence in the listener, showing them that you are well prepared and have taken the presentation seriously. So how do you make an effective presentation introduction? Here are some important points to cover, as well as some phrases to use. Good morning ladies and gentlemen, thank you for coming today. My name is Markus Fischer and I am responsible for … . My name is Markus Fischer from [name of company], where I am responsible for … . Let me introduce myself; my name is Markus Fischer and I am responsible for … . My presentation today will cover three points. The presentation will last for 20 minutes. The presentation will take about 20 minutes. Today, I will be speaking for about 20 minutes on this topic. If you have any questions you’d like to ask, please leave them until the end, when I’ll be happy to answer them. Do feel free to interrupt me if you have any questions. I’ll try to answer all of your questions after the presentation. Let us know if you have any suggestions of other phrases or approaches for making an effective presentation introduction in the comments area below. Good morning ladies and gentlemen, thank you for coming today. My name is Markus Fischer and I am responsible for … . In today’s presentation I’d like to cover three points. Firstly…, secondly… and finally… The presentation will take about 20 minutes and if you have any questions you’d like to ask, please leave them until the end, when I’ll be happy to answer them. So if there are no questions, then I will begin. 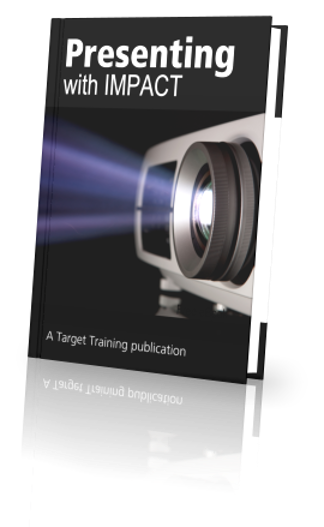 Click here to learn more about how you can make more impact with your presentations. I totally agree. Maybe sometimes the speaker is so focused on getting started that s/he forgets a solid introduction that can help win the audience, as Guido said.